Growing up, my father introduced me to what would become a life-long obsession. And today, in this post, I will share the secret family recipe for this small slice of gourmet culinary nirvana. I present to you the peanut butter pickle sandwich. First, slice your bread. 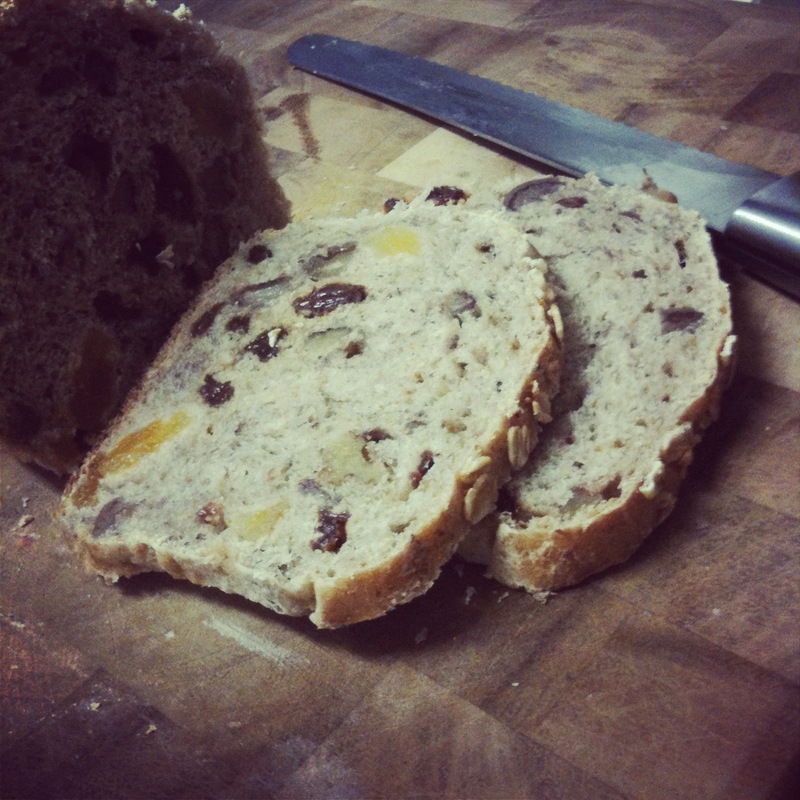 What we have here is an artisan gluten-free muesli loaf hand crafted locally here in Miami. Slice as many starchy canvases as you deem necessary. For this post, I will be making it face ouverte. 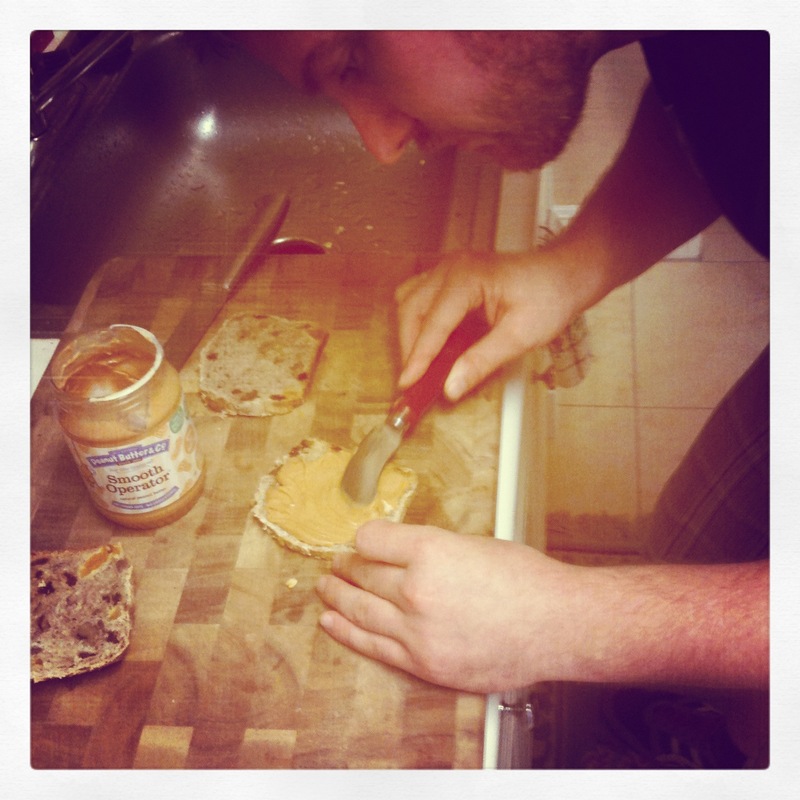 Next, take your peanut butter, and spread a generous layer on top of the bread prepared in the previous step. 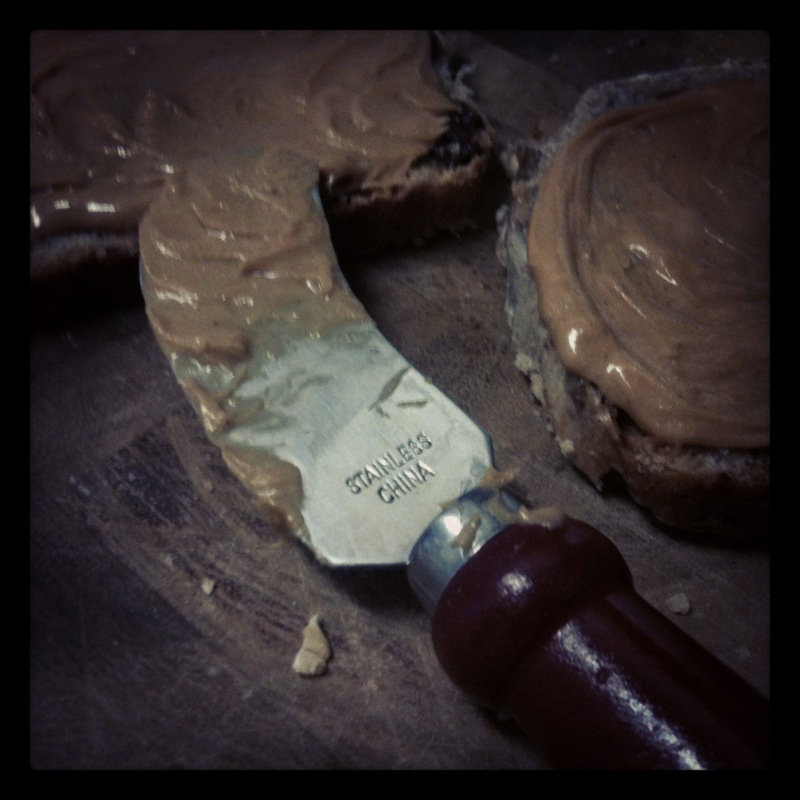 Don’t be shy with your peanut butter as it will be the mortar holding together what will become your masterpiece. 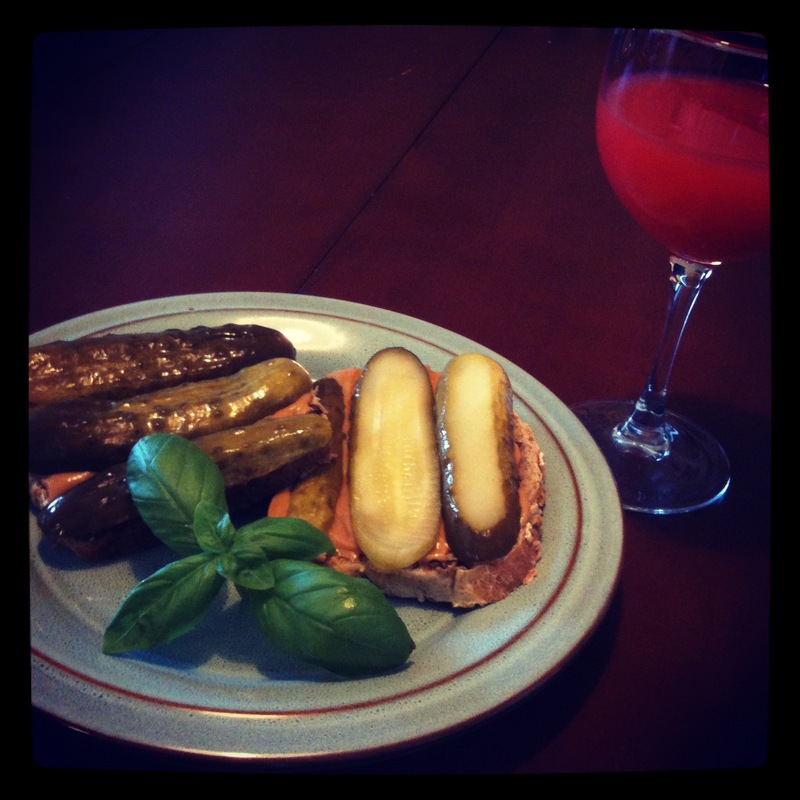 For the third step, take your pickles and slice them if they are not pre-sliced (as pictured here). This slightly sour ingredient will be what makes your sandwich sing. It compliments the creamy sweetness of the peanuts nicely. Finally, enjoy the effing crap out of that sandwich. Treat it as a secret lover you meet with for a secret tryst after months of longing for its soft, lusty buss. Yeah, it’s pretty rad. Surprised me too. Okay, I’ll try it, but only for you, will report back…. Heck yes! Give it a shot. Ok, I’m finally taking the plunge after Melissa’s post as well… I got some great artisan bread, wish me luck. Gulp. 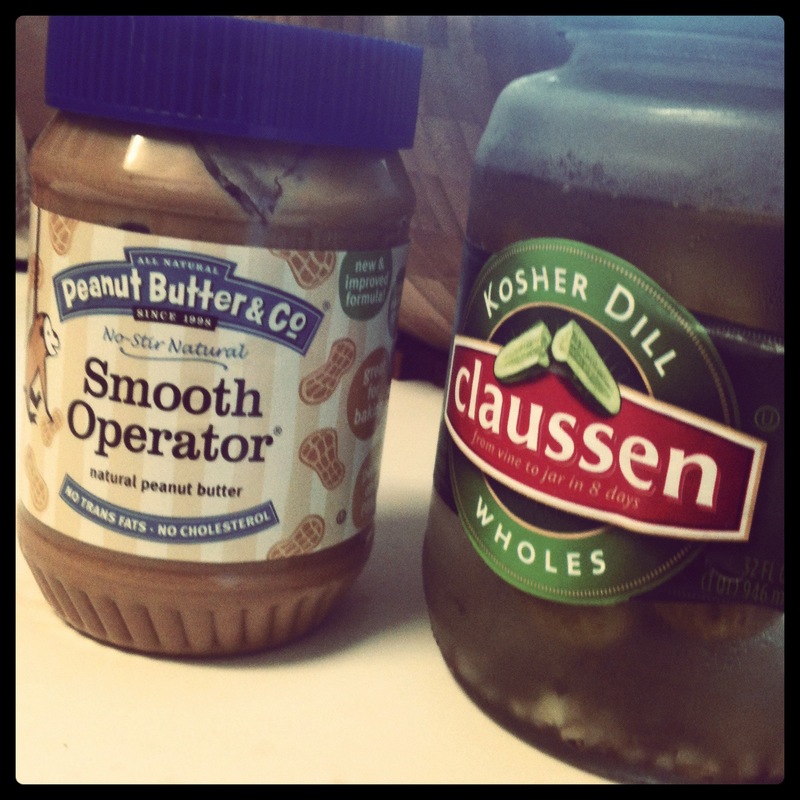 Not sure I’m this hard-core for peanut butter, tho’ the sweet lord knows I love it. I just want to mention I am all new to blogging and site-building and truly enjoyed this website. More than likely I’m planning to bookmark your site . You actually come with really good well written articles. Many thanks for sharing your blog. The structure for the website is a little bit off in Epiphany. Nevertheless I like your site. I may need to install a normal browser just to enjoy it.